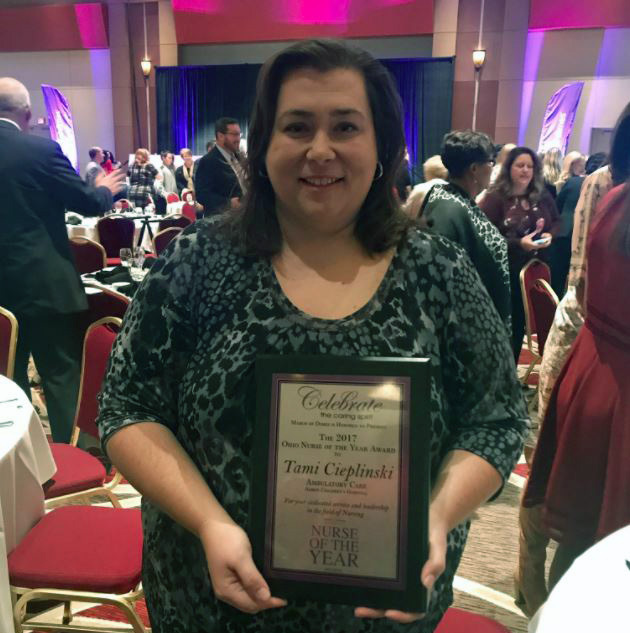 Tami Cieplinski was named March of Dimes Nurse of the Year in the ambulatory care category in Ohio. Every year, the March of Dimes, an organization that focuses on preventing birth defects, premature birth and infant mortality, honors nurses from across Ohio at its annual Nurse of the Year awards ceremony. This state-wide event recognizes exceptional nurses, creates awareness of professional excellence, and promotes the future of nursing as a profession. Nurses can be nominated by peers, nurse managers, supervisors or even the families they have impacted. The selection committee reviews nominations from healthcare facilities throughout Ohio in 18 defined categories ranging from Case Management to Education & Research. This year Akron Children’s was honored to have 17 finalists with Tami Cieplinski, RN, BSN, headache program coordinator in the NeuroDevelopmental Science Center (NDSC), chosen as the committee’s pick in the ambulatory care category. Tami was nominated by her supervisor, Dan Strunk, clinical operations supervisor of the NDSC, who recognized Tami for the education, patient advocacy and interdepartmental teamwork she promotes every day. 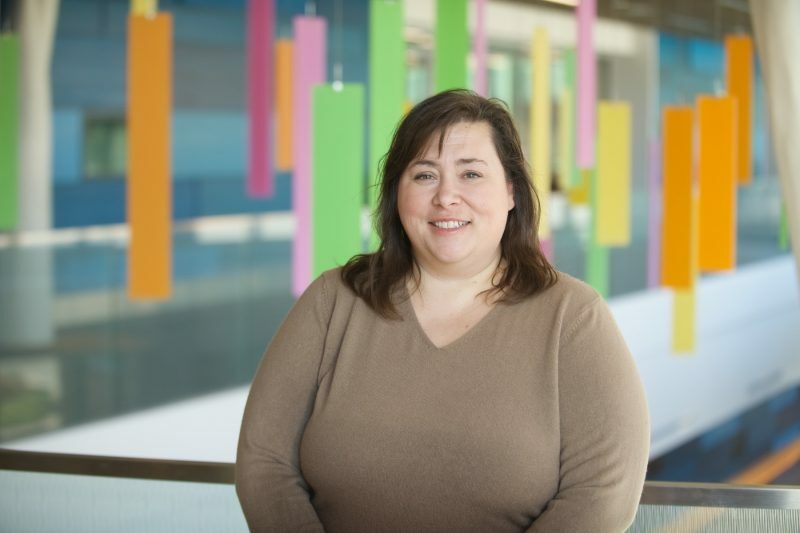 Tami started working at Akron Children’s in 2006 as an admitting clerk and as a Neonatal Intensive Care Unit (NICU) nurse tech while completing her nursing education. After graduating, she transitioned to a float nurse. While in college Tami always knew she wanted to work with kids and originally planned to become an elementary school teacher, but quickly realized it wasn’t the field for her. “I had friends who were going to nursing school and I always thought ‘why in the world would anyone want to do that as a job?’” she joked. After working in the customer service field for a few years and starting a family, Tami had the realization that nursing was something she might enjoy. Tami says her favorite part of the job is interacting with patients and families. Tami is a member of the American Headache Society, the International Headache Society and currently is in school pursuing a master’s in nursing.